Dimensions: 18 (L) x 9 (W) x 5 (H). USB, SD Card, and Auxiliary front inputs. Flip up marine face plate. 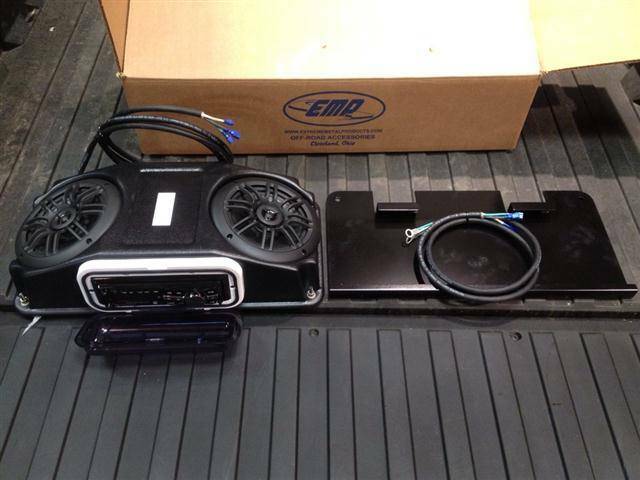 Mounting kit includes: Aluminum bracket, wiring, zip ties, (2) self drilling screws. 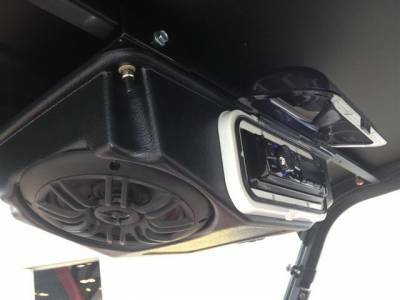 Now, you can add tunes to your Ranger XP900. Stereo pod comes with the pre-wired stereo, mounting bracket, wiring harness, and mounting hardware. Mounts to your cage with two self drilling screws. 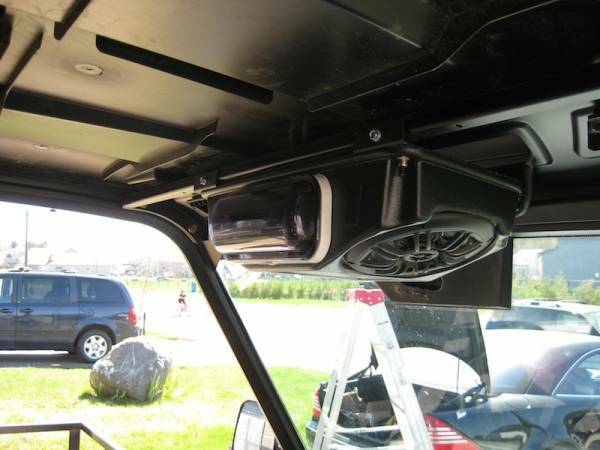 NOTE: If you have a Ranger XP1000 you have to bend the mirror bracket up and out of the way to mount this unit. Others do not have that bracket.